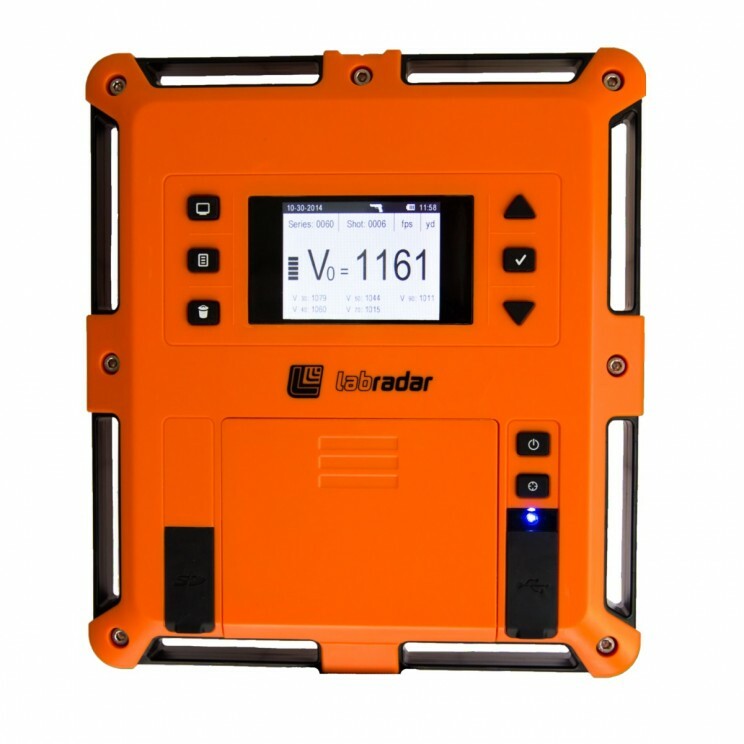 Labradar Chronograph performance exceeds any consumer level velocity acquisition system. It continually measures velocities of your rifle, pistol, shotgun (slugs), arrows or pellets up to 100 yards depending upon the size of the bullet. Smaller bullets do not track as far as large bullets. Multiple distances for velocity display are user definable on the unit. LabRadar measures velocities up to 3,900 f.p.s. with 0.1% accuracy using six AA batteries. Labradar is not dependant on any light source and can be used indoors/outdoors in all weather conditions. It is positioned to the side of the weapon, not downrange where other systems are prone to damage. Each shot series provides Hi, Lo, Average, ES, SD. Individual shots display velocities at muzzle and up to five additional distances along with Kinetic Energy at each distance. The data is downloadable via USB or SD card. Built in IPSC / IDPA Power Factor Calculator. Mounts on standard ¼ x 20 tripod thread. (tripod not included). Tracks bullets up to 100 yards.